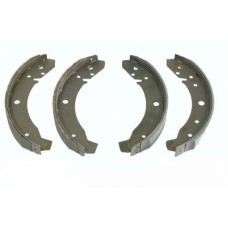 Quality brake shoe lining insures strong braking. 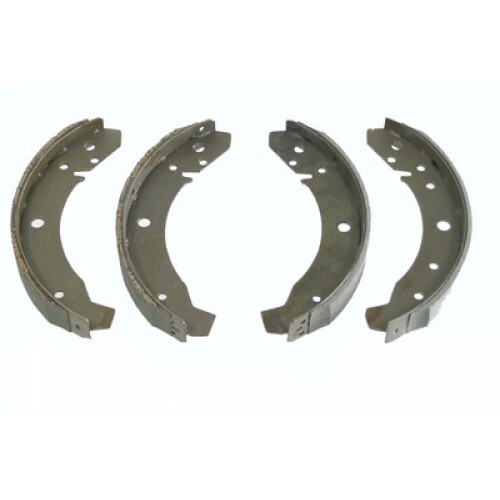 Please check these are the correct shoe for you car of off roader as over the years brakes can be changed and ordering the incorrect shoes is pain for both parties. 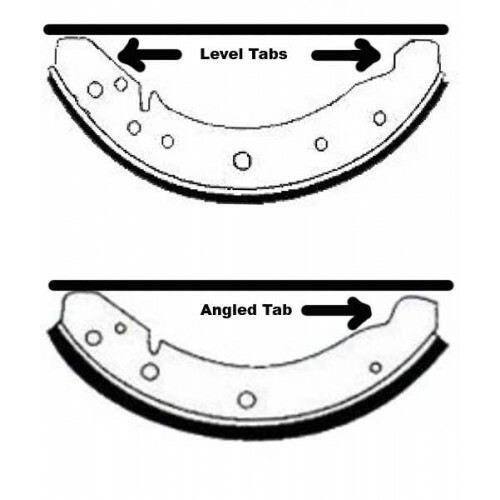 The keys to making sure you are ordering the correct shoes is the angle of the locating tabs at each end of the shoes (See picture), if they are in line or one is on a angle compered to the other this is the difference as well as the width of the shoe. These shoes are 30mm wide, and have one level tab and one angled. We recommend that you have your drums machined and deglazed for best performance.